The sixth season of the highly-acclaimed TV series Mad Men is almost here and to tease us a little bit, and capitalise on the 60's based show's success, Banana Republic has another special capsule collection for Spring 2013. Though from the looks of these swinging new billboards and the 60's inspired fashion itself, maybe this collection should have been called 'Mod Men' instead. 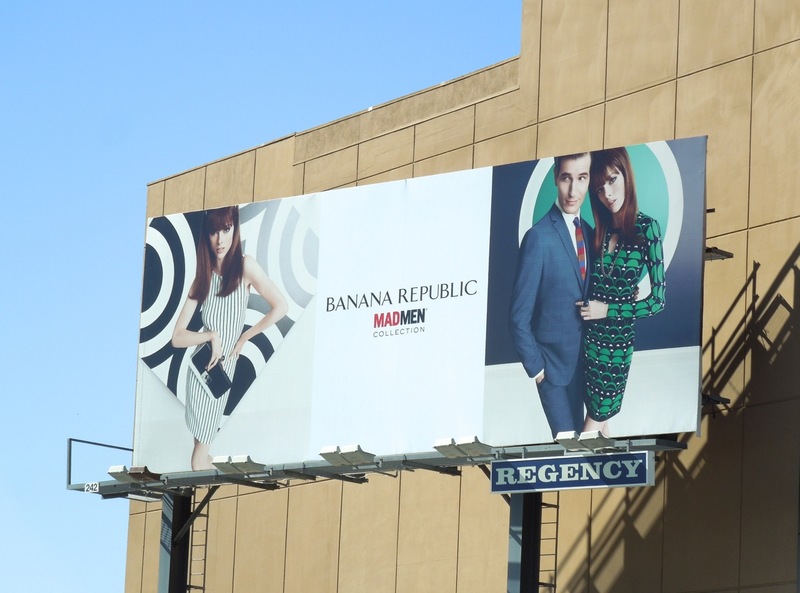 The look is much more youthful 'Megan Draper' and much less prim and proper 'Betty Draper' these days compared to the debut Banana Republic Mad Men Limited Edition Collection in August 2011.
and if the fashion brand is your favourite, take a look at these other fabulous Banana Republic billboards from seasons past. 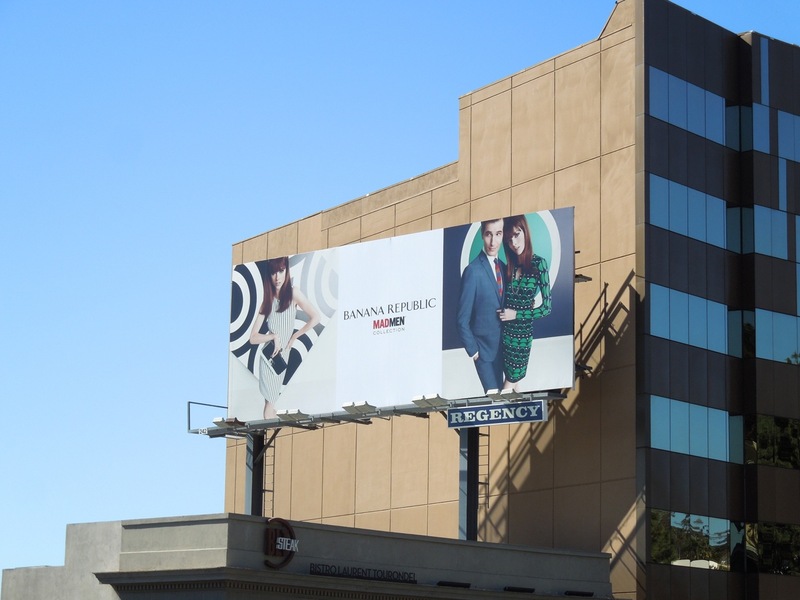 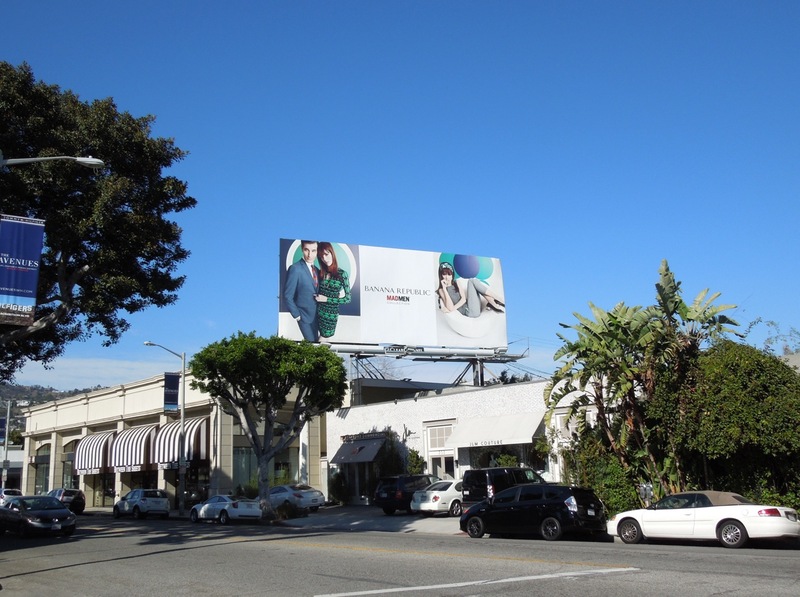 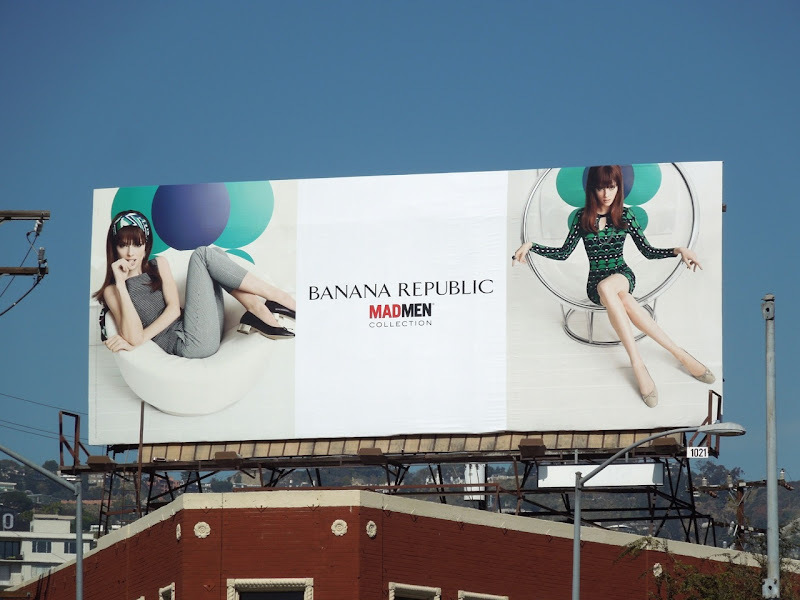 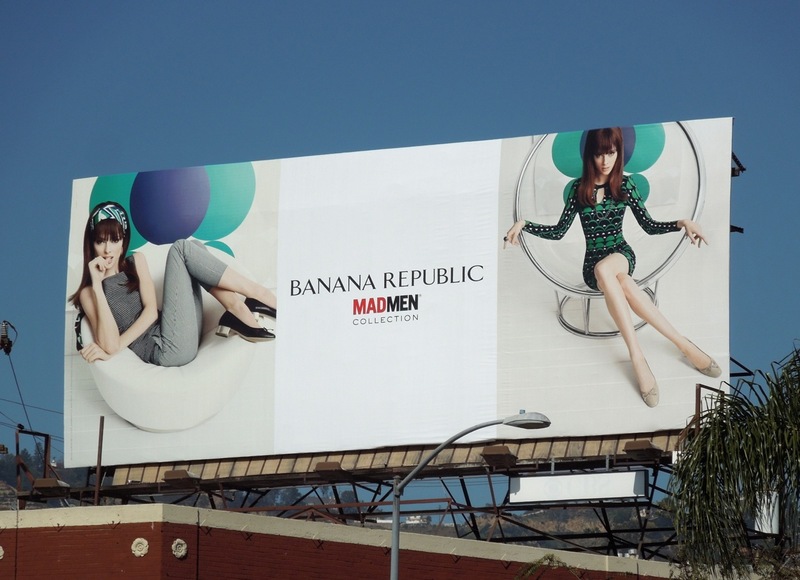 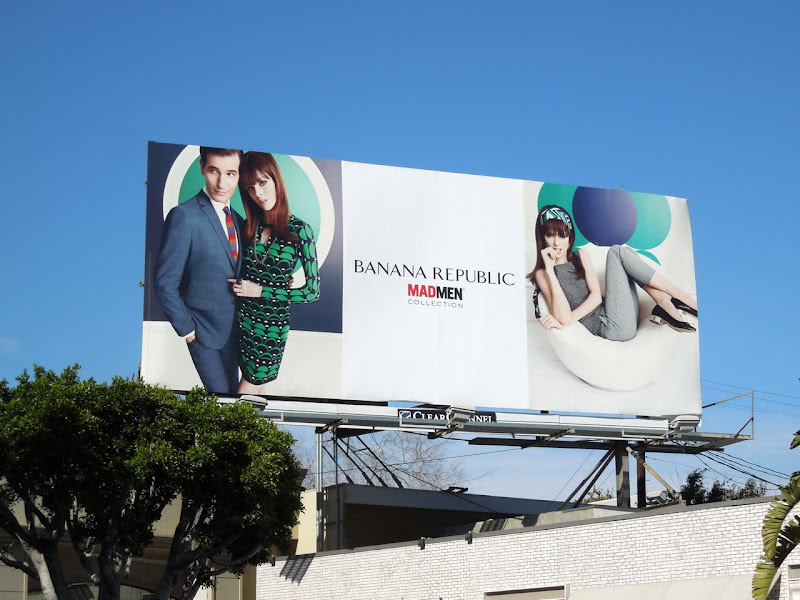 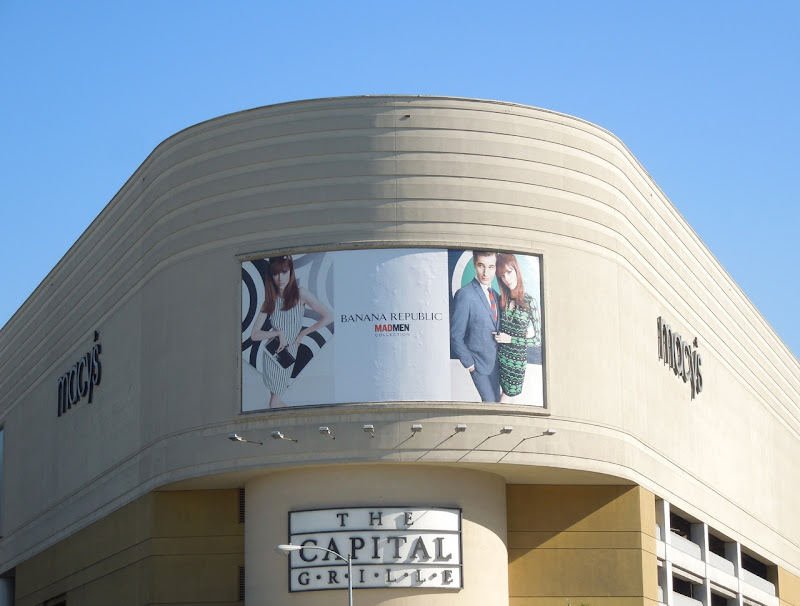 These fresh Spring Mad Men Collection billboards were spotted along L.A.'s Santa Monica Boulevard, Sunset Plaza, Robertson Boulevard and Beverly Boulevard on February 25, 2013.